Marvin Bagley III picks the Duke Blue Devils on Espn! Marvin Bagley III picks Duke University! 2017 Jay Bilas OKC Skills Development Clinic Notes inside for FREE! Marvin Bagley III will change the college basketball national championship scene now that he has selected Duke University. Grab these 2017 Jay Bilas OKC Skills Development Clinic Notes inside for FREE! Last night, Marvin Bagley III made his decision to re-classify and head to Duke University. So you might ask who Marvin Bagley III is? 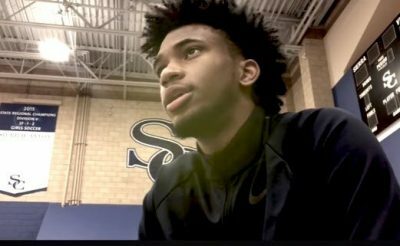 Marvin Bagley III is a “once in a generation” talent. I have heard that on ESPN numerous times already today. Bagley is a 6-foot-10 forward that can do it all. Now Coach K and Duke University will be the favorite to win a NCAA Championship next year. Bagley is that much of an impact player. Bagley is probably the best prospect since Lebron James out of high school. I talked to several of my friends that coach at the NCAA Division 1 level that saw him play in the NIKE EYBL this summer. He flat-out dominated that circuit averaging 25.8 points, 14.9 rebounds, 3.7 blocks and 1.7 assists per game. These stats came from the D1 Circuit – NIKE PHAMILY (@PHXPHAMILY). Bagley got the choices down to three last night: USC, Duke, and UCLA. He chose Duke University as he pulled out Danny Ferry’s retired number of 35 out of a bag last night. Danny Ferry was one of the best college basketball players from Duke University. He played there four years and was the Naismith College Player of the Year and Consensus first team All-American in 1989. Ferry led the Duke Blue Devils to three Final Four appearances and will always be known for hitting the “shot” against the University of Kentucky. Marvin Bagley III is one of those players that can dominate on the offensive and defensive ends of the basketball court. That is why he moved to the number one player in 2017. He beat out Micheal Porter (Missouri commit) to land that spot. Porter doesn’t dominate on the defensive end of the floor like Bagley. Bagley is a 6’11 lefty that has good foot speed and agility. He finishes everything on the inside and is an excellent rebounder. He has demonstrated correctable outside shooting that could get better. 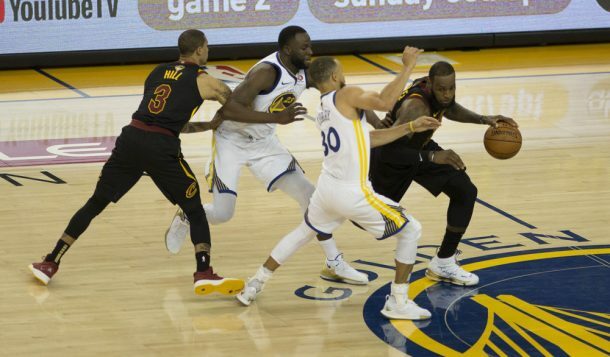 He will need to improve his ball-handling, but he can dominate on the defensive end too. Bagley’s role models are Kevin Durant, Michael Jordan, Lebron James, and Kobe Bryant. One thing that you can see from those four choices is Determination. The young man seems very humble and will be the second straight number one player (Last year – Harry Giles) in the nation to commit to Duke. Duke University has had a couple of good days lately. Mike Krzyzewski had successful knee replacement surgery. Also, Tre Jones who is one of the top points guards in the Class of 2018 selected Duke University this past weekend. As of right now, Duke University has four of the top ten recruits in the 2017 class. The Duke Blue Devils were 7-1 in Vegas before the Bagley commitment and are now 3-1. So What is Reclassification? I am confused about it. Reclassification is an opportunity to improve one’s academic standing. Usually, it is someone going an extra year of high school or prep school. A lot of the kids that are “reclassifying” now are moving back in their original class then they work on all of their core credits and try to go back up to original level. Bagley is 19 years old right now. According to Jeff Goodman of ESPN, Bagley is taking three online classes to graduate with his class. He will have to graduate this month and then have the NCAA look at his certification. Graduating this next month will start his clock on the 2018 NBA Draft. It will be an exciting college basketball season if he can join the Duke Blue Devils.